God is moving in the hearts of His women... and it’s something like I have never witnessed before. Sure, maybe I’m hyper-aware of the women of God who are taking hold of and walking in the purpose for which they are created. Bringing these women together and helping lift their arms is what I know I’m to be about in these last days. But it’s more than this. It’s more than an awareness brought about by a personal call. God is strategically bringing His daughters together all around the world. The generations of daughters who have gone before us have shown us strength and how to be strategic in the positions where God has placed us. Like Abigail, who after hearing of the destruction soon to come upon her house, prepared a meal and came in complete humility before David. Her wisdom in choice of words and demeanor not only saved her household, but made her queen shortly after (1 Samuel 25). The same is true of Queen Esther (Esther 5). These past daughters showed us how to be fierce and bold like Jael, who was on guard and ready to act when the enemy came to her tent. She was ready to use the tools in her hands and the preparation she possessed due to her position. She executed the enemy and saved her people (Judges 4:21). There are so many examples we could look to; women of God who have gone before us to pave the way. These women have modeled how to be strong and strategic, bold and fierce, and how to be all these things while walking in a gentle, quiet, and humble spirit before our Lord. I believe the difference between past generations and ours is that doors are starting to swing wide open for women of God to walk out their callings and be used in unprecedented ways. This isn’t just happening in our western civilization, but all over the world. 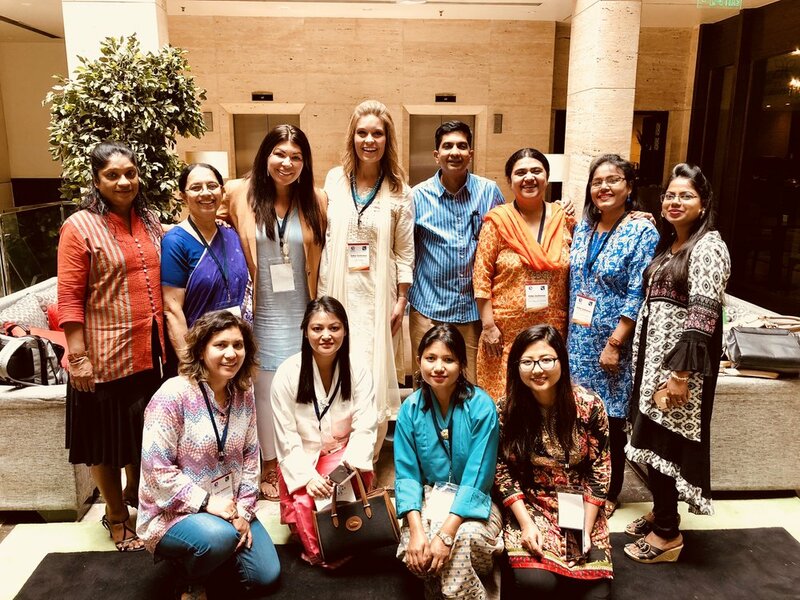 I just returned from a very strategic trip to Jaipur, India where I had the privilege of meeting with ten other women leading ministries in six different nations. We came together, ate together, and shared vision. We dreamed together and ministered together for three days at a Global Advance Esther Initiative conference specifically tailored to women in leadership. As a team we spoke value, calling, and purpose into the hearts of these women. The relationships built among this team of women across borders were beautiful to see, but it was the new spark of excitement for their ministries and the future possibilities that were by far the most beautiful. As I prepared for my time with these women, I continually felt the pressure to make something spectacular occur with this opportune meeting with such high capacity national leaders. But God had already prepared the way. As we spent time together, I heard story after story of great ministry taking place and was moved by the countless sacrifices they make daily to advance the gospel in their nations. I was humbled beyond measure and inspired by the fortitude and strength I witnessed in my sisters. The greatest need they shared was for community with other women who are leading - women with whom they can walk alongside, sharing their joys and burdens while spurring each other on in ministry. Hearing this need sparked and encouraged my heart to press hard to continue to bring women in leadership together. As leaders, we have the beautiful privilege to create life-giving community; a place for relationships to form and flourish, and a space for new vision to be birthed. 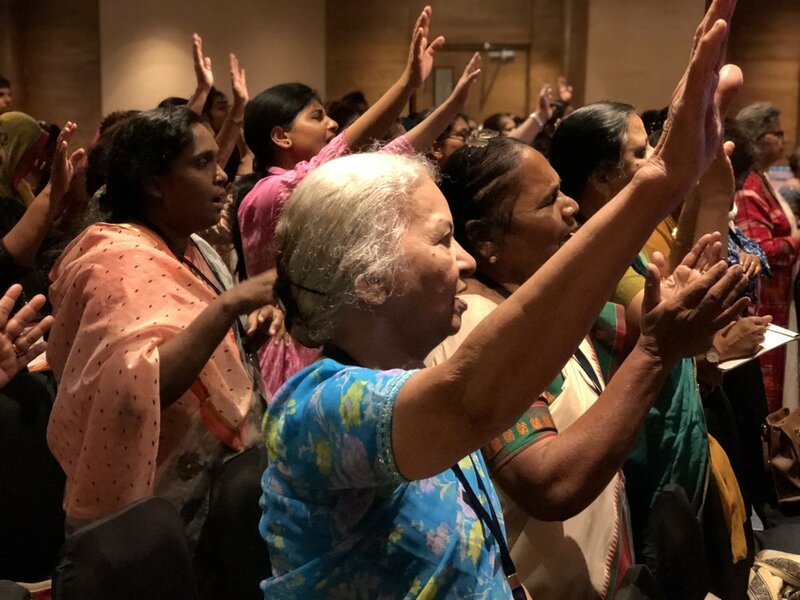 Through this beautiful community of women - this army of modern day Esthers rising up in India, Bhutan, Bangladesh, Nepal, Sri Lanka, Pakistan, and beyond - may we boldly advance the Kingdom... together.